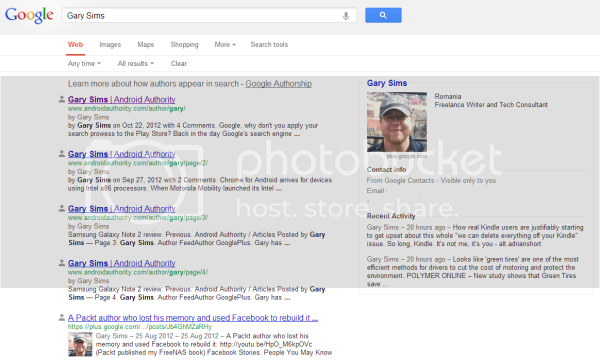 I got an email this morning from Google saying that I have been added to Google Authorship. This means that my photo and a link to my profile can now appear next to any content in Google search results. This is mainly due to the stuff I have been writing for Android Authority. Cool! Click here for a list of my pages currently in Google’s search index.